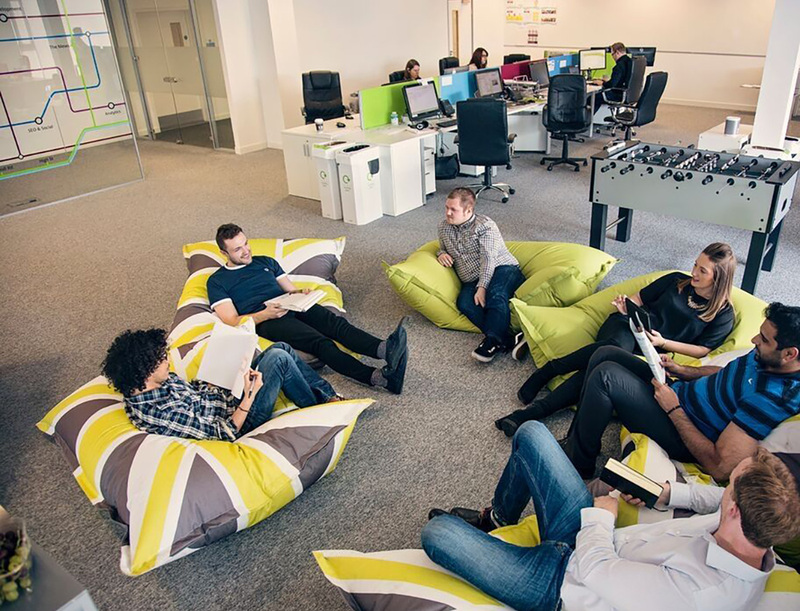 Insight / Beanbags in the Office: Are They Here to Stay? Beanbags in the Office: Are They Here to Stay? When the topic of beanbag chairs arises, guaranteed, the office is not the first image that comes to mind. Beanbag chairs are most commonly associated with residential homes and the rooms of youth, but not necessarily thought of as furniture pieces. This is exactly why beanbag chairs in the office just work. Since the initial conception in the 1970s, beanbag furniture has undergone a dramatic transformation from an inexpensive leather filled with Styrofoam pellets to today’s high quality models. Modern beanbag styles are not only large bags, but also loungers, loveseats and even floating pool bags. The possibilities and applications are vast, and they are even considered to be beneficial to those with back pain. Then why would something that is a more residential type of furniture be brought into an office work environment? Digital agency Gravytrain in London, England. With the advancement of wireless technology, employees are no longer bound to desks. With the integration of social media into company and customer interaction, the bustle and noise of phones in cubicles drastically reduces the need for closed-off, individual spaces. The added platforms of the Internet and social media mean not only connecting with the customer, but also opening up opportunities for worldwide expansion and communication between different companies and coworkers. This is reflected in the workplace as well. Emphasis on co-operation, connection and collaboration is on the rise, and the office workspace is evolving to encompass these changes. 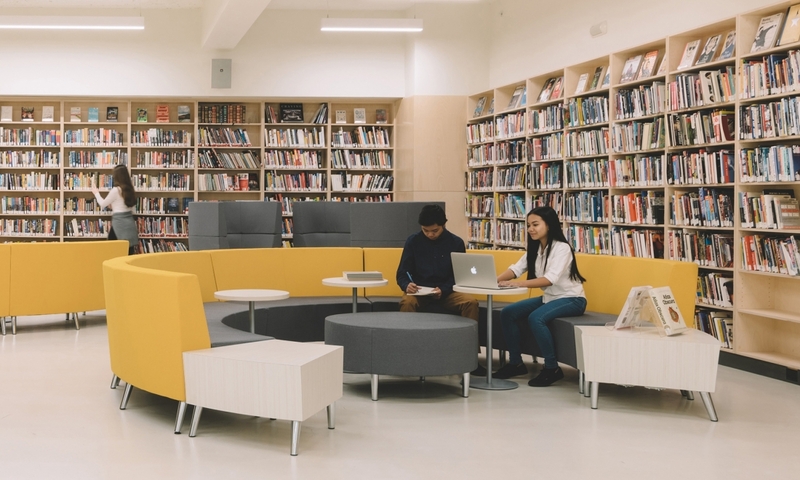 Combining open, collaborative spaces with secondary, more interpersonal secluded areas is the new ideal. With the amount of time workers spend at their jobs, the office becomes a second home; when these jobs involve a large amount of creativity, dull and secluded offices often hinder the creative process. The movement to combat the “traditional” workplace environment by relaxing the space with colorful and more engaging surroundings not only results in increased productivity, but increased office morale and employee loyalty. Though the majority of workplaces being reinvented into relaxed environments are companies in the technology industry, this new atmosphere carries over to television production and toy manufacturing companies. 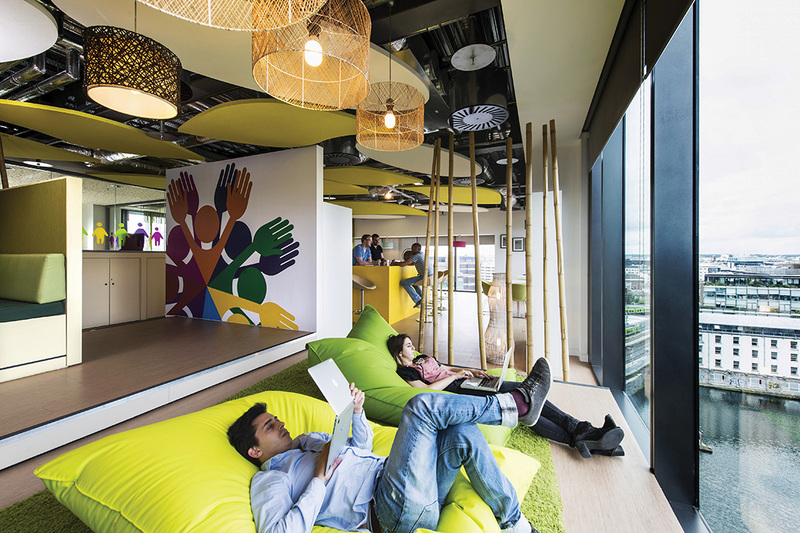 Google campus in Dublin, Ireland designed by Camenzined Evolution. For Google, beanbag furniture is not a recent addition. Across their many offices, beanbags range small sizes meant mainly for aesthetic, to large “chairs” suitable for multiple employees. Colors and textures differ to suit the surrounding room’s interior design. 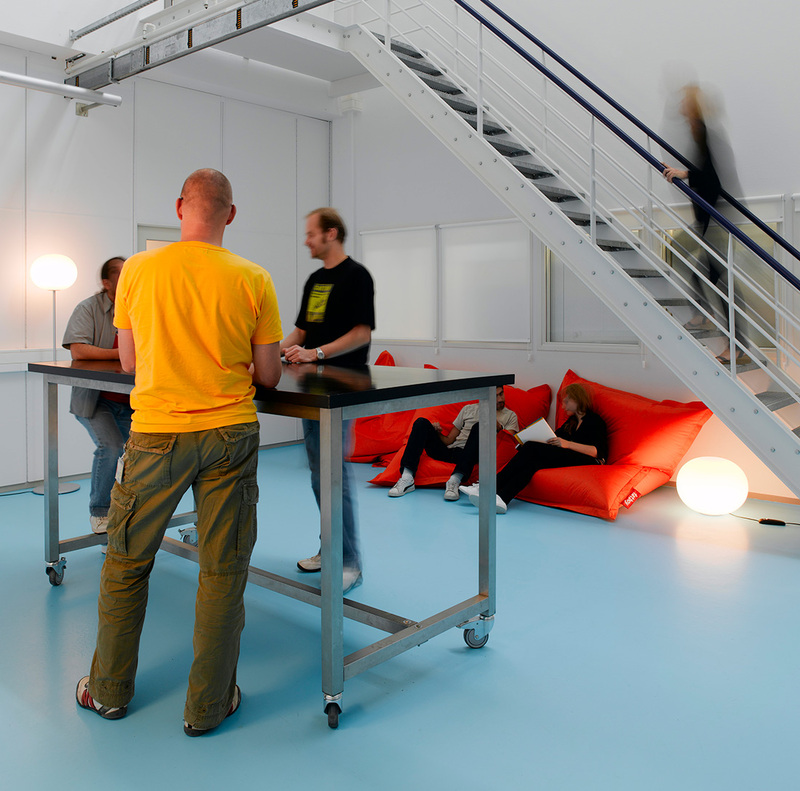 King Offices in Stockholm has integrated beanbags into their interactive floors and lounge areas seamlessly. 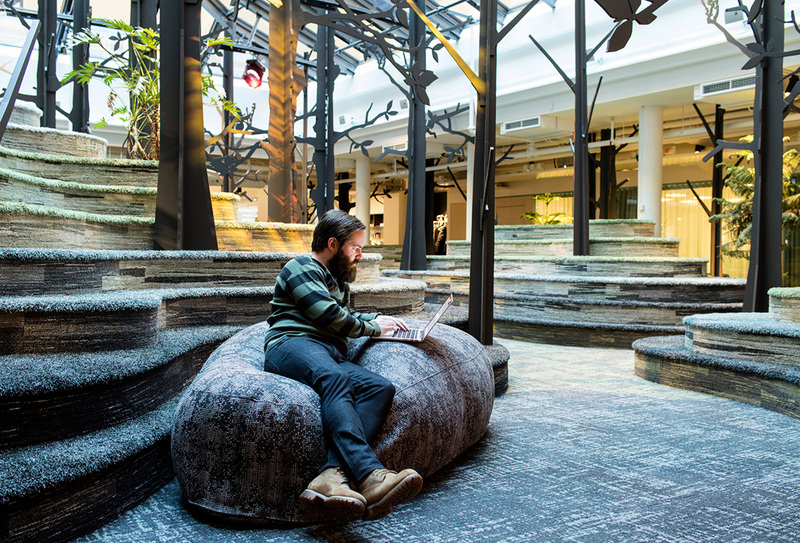 The office “forest” showcases large, gray beanbags as “rocks” within the décor, and tall, cylindrical beanbags scatter throughout the more casual lounge and reception areas. Game development studio King in Stockholm, Sweden designed by Adolfsson & Partners. LEGO’s Denmark Offices in Billund are bright and full of various patterns and colors worked within a sleek style. Beanbags furnish a nook beneath a set of stairs. LEGO Denmark headquarters designed by Rune Fjord and Rosan Bosch. These workspaces — and many more — have incorporated beanbags into their interior to not only complement the space overall, but also promote spontaneous collaboration between coworkers.